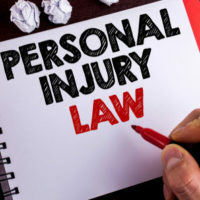 In some cases, personal injury plaintiffs can hold a third party responsible for their damages. For example, there’s a legal principle called respondeat superior that says employers are also responsible for the actions of negligent employees. The phrase “respondeat superior” literally means “let the master answer,” and it is a type of vicarious liability that allows a third party to be held liable for a defendant’s negligence even if the third party wasn’t present and didn’t personally cause the injury. The employee’s actions were taken within the scope of employment. One of the most common examples is an accident caused by a commercial truck driver. Imagine that the driver fails to stop at a stop sign one day while making a delivery and crashes into another vehicle. The other driver can argue that both the driver and the trucking company are liable for any resulting damages. But what if the driver took an unauthorized detour? If the employer can successfully argue that the employee’s actions were not in the normal course of employment then respondeat superior might not apply. The dangerous instrumentality doctrine often influences the application of respondeat superior. Under this doctrine, the owner of an inherently dangerous tool is liable for injuries caused when that tool is operated. The Florida Supreme Court has held that this doctrine applies to motor vehicles and that owners are liable for injuries caused to third parties when the vehicle is operated with the owner’s consent. A trucking company that owns its own vehicles can be found liable for a negligent driver’s actions under both the dangerous instrumentality doctrine and respondeat superior. Even if an employee’s negligence was not within the scope of employment, the employer might still be liable under the negligent hiring and negligent retention doctrines. The negligent hiring doctrine applies when a company hires an employee it knows or should know may commit a damaging act while at work. For example, imagine that a trucking company employs a driver with a history of driving under the influence and the driver stops at a bar while on the job. Even though that’s an unauthorized detour, the company could be liable for any accidents caused by the driver because it knew about the driver’s drinking habits. Similarly, the negligent retention doctrine applies to certain actions taken outside the scope of if the employer retains an employee it knows or should know has a propensity for committing harmful acts. So if the trucking company retains the driver who drinks on the job and the driver harms someone else, it could again be liable for those injuries. Contact a West Palm Beach personal injury attorney at The Pendas Law Firm today for a free consultation if you were by a negligent employee. We will help determine whether you also have a viable claim against the employer under the principle of respondeat superior. The Pendas Law Firm also represents clients in the Fort Lauderdale, Jacksonville, Fort Myers, Orlando, Tampa, Miami, Daytona Beach and Bradenton areas.